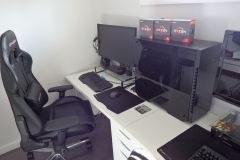 After completing our Ryzen 7 and Ryzen 5 reviews, we built a rig as a content creation workstation. 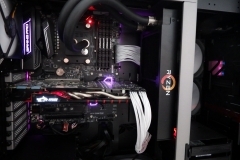 We did this in conjunction with the In Win 509 and MSI X370 Gaming Pro Carbon reviews but I basically stopped using the X99/i7-5930K for a month and used the more cost effective Ryzen 7 1700 alternative instead. 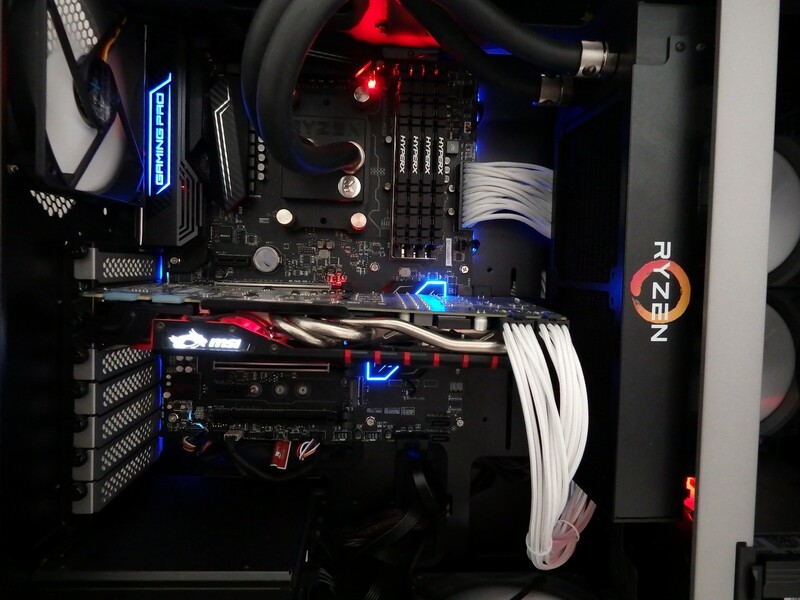 I won’t drag this out – the result was great and aligned with my initial review of the Ryzen 1700 CPU. 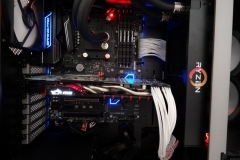 This is a powerful configuration that is considerably cheaper than a similarly performing Intel alternative, designed for multi-threaded use but also used for gaming. 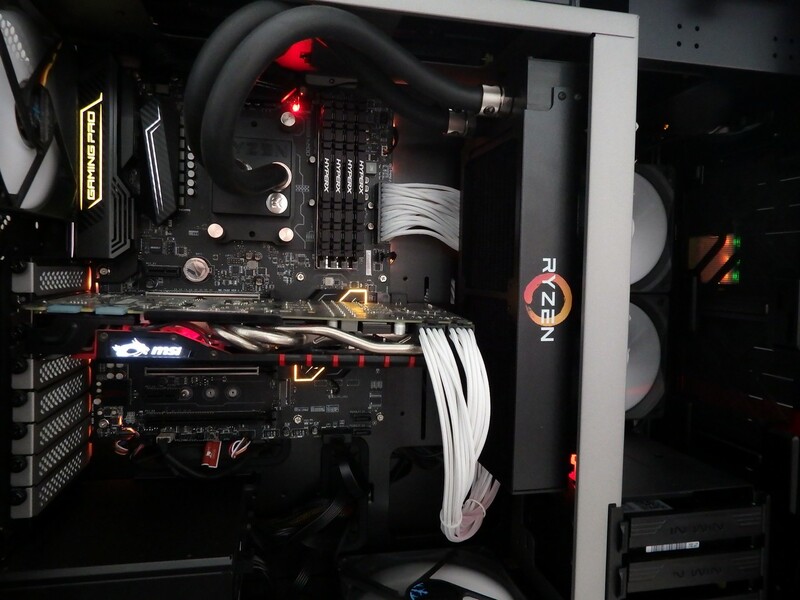 The MSI X99 i7-5930K test system was our usual ‘go-to’ system for trans-coding, gaming and general grunt work so we moved the GTX 980 to the Ryzen build, gave it the same amount of RAM and made the switch. 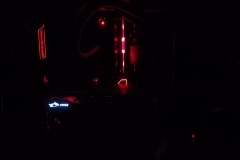 For the next 5 weeks, I made a point of not using the X99 setup at all, rather using Ryzen 1700 on the MSI X370 Gaming Pro Carbon for absolutely everything except email (I have a laptop for that). 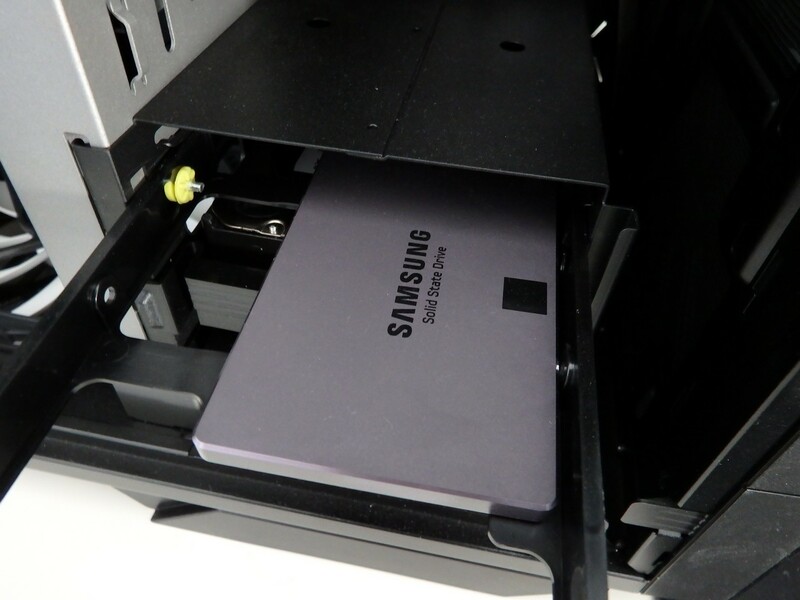 The Samsung EVO 840 250GB SSD was used as the boot drive with the 6TB WD Black as the mass storage area. 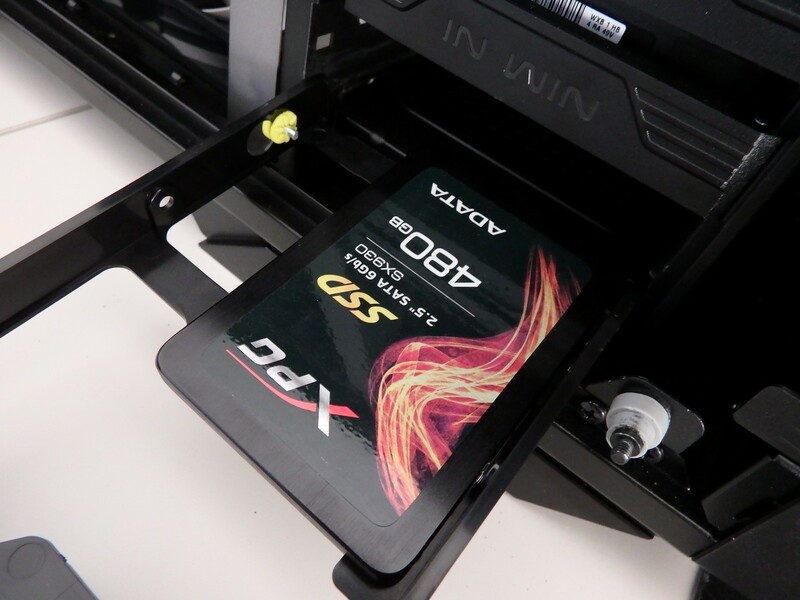 250GB didn’t go very far so we added an ADATA XPG SX930 480GB SSD as well for good measure. During the project, I did fiddle around with memory a little. 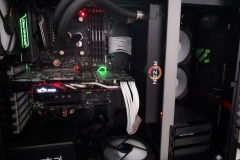 The main reason related to testing the motherboard but I also wanted to see if I noticed the difference in real world use. To be honest, 2133MHz felt the same as 2933. The benchmarks I ran for the R5 1600X and 1500X showed a slight technical advantage but I didn’t notice it in real life. 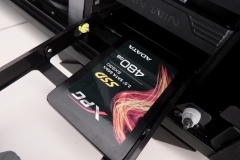 To date, the only kit to hit 2933 has been the GEIL EVO X Dual Channel (GEX416GB3200C16DC). 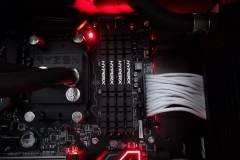 We will be testing more in the future but for now we have the choice of 16GB @ 2933MHz or 32GB @ 2133MHz so I went with the larger 32GB given that it’s a more likely representative configuration for content creating Ryzen 1700 system builders. 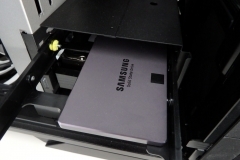 I also turned off the paging file and hybernation to free up as much space on the boot SSD as possible. 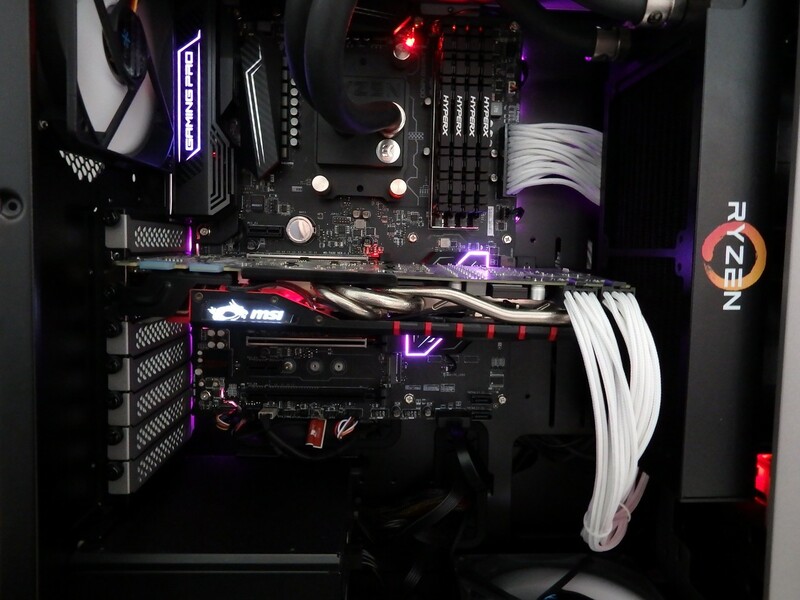 As an aside, I did also run the ADATA XPG Dazzle kit for a bit when reviewing the MSI X370 Gaming Pro Carbon motherboard and aesthetically it looked great – for gaming the 16GB (2x8GB) kit would have been fine. I wasn’t able to get it to run over 2133MHz but the BIOS updates continue to come through so we will be testing again soon. 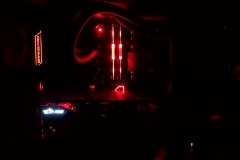 The 32GB of Kingston Predator was the configuration I ran with so as to get a better comparison against the X99 i7-5930K system that also runs 32GB of Kingston Savage DDR4. 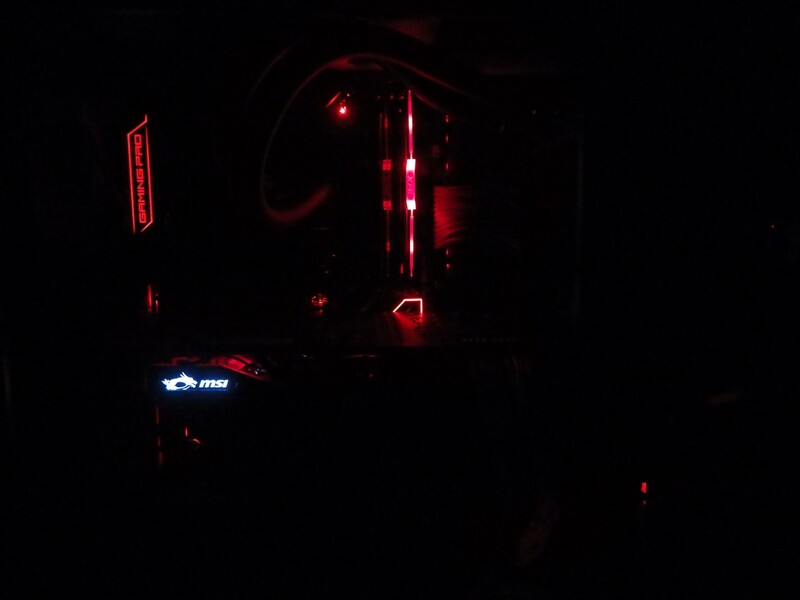 Here are some low light shots of the XPG Dazzle in action. When not testing the MSI motherboard, I ran the system at a 3900MHz overclock via BIOS without any issues or stability problems whatsoever. The system was snappy and responsive all the time without any thermal issues or loud fans. 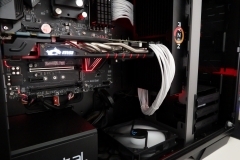 Temperatures seemed to top out in the low 60’s and the radiator fans on the EK-XLC 240 Predator would go up to about 1000RPM when gaming heavily or transcoding video. The noise wasn’t enough to be distracting nor bother anyone sitting right next to the case. Compared to the 6 core / 12 threaded i7-5930K, I did notice transcoding and bulk photo resizing was faster on Ryzen 1700. 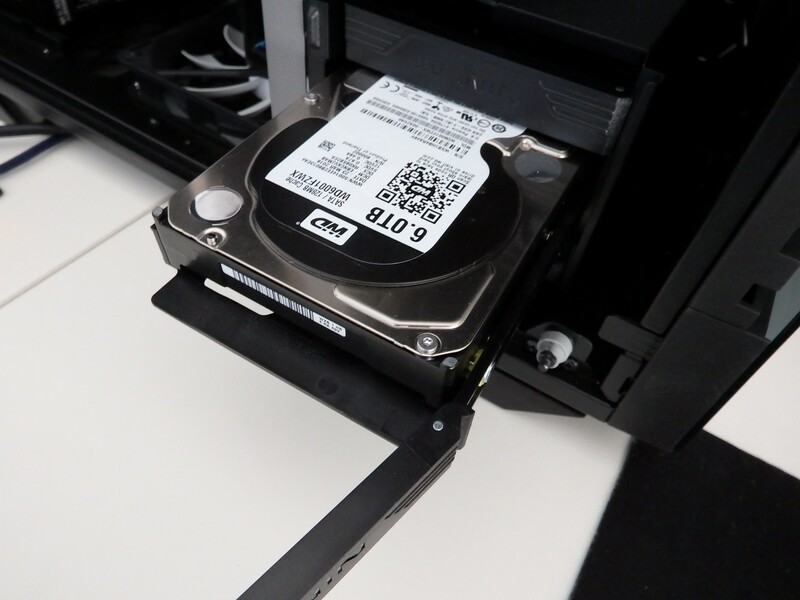 File compression and extraction was also faster with Ryzen. Even when transcoding, I had to check CPU monitor to make sure all cores were busy because the system didn’t sound like it was being stressed from a cooling perspective. 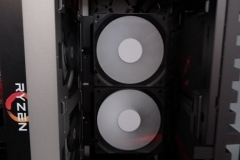 The case fans were also operating at 50% or less most of the time for virtually silent running. As a PC enthusiast that hates a noisy rig, this setup is one that I could happily use all day. 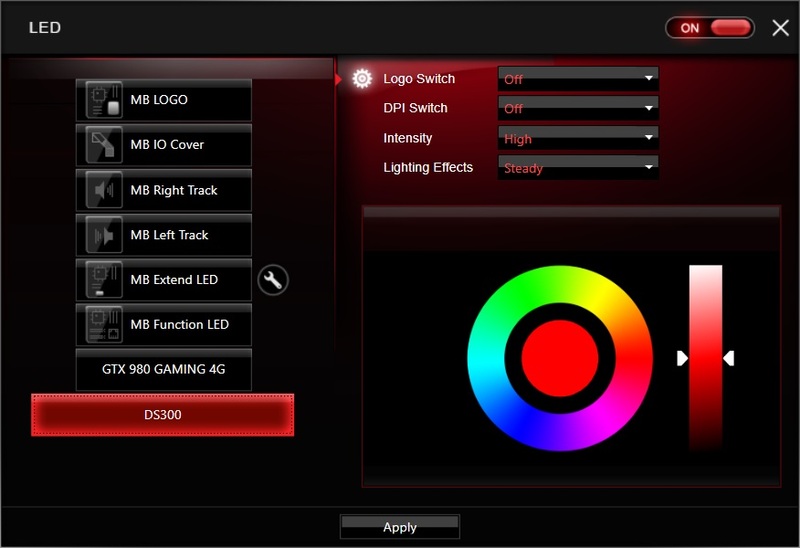 Since the review of MSI’s X370 Gaming Pro Carbon, we’ve had some requests for photos of the RGB lighting on the board. As I said in the review, it’s more subtle than some other boards but I also think it’s very well balanced. 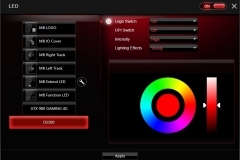 You can control all the lighting for the board, a compatible graphics card and even our MSI DS300 Interceptor mouse with RGB logo. 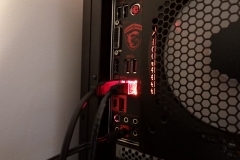 The RED LED lit network and USB ports on the rear IO of this motherboard are also handy and not too bright to be distracting if you have your case on the desk like we do here. 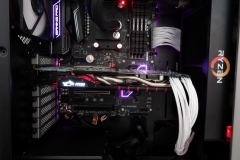 One other thing that I noticed when testing the X370 but didn’t really appreciate until extended use was the Fan Tuning feature in the BIOS. 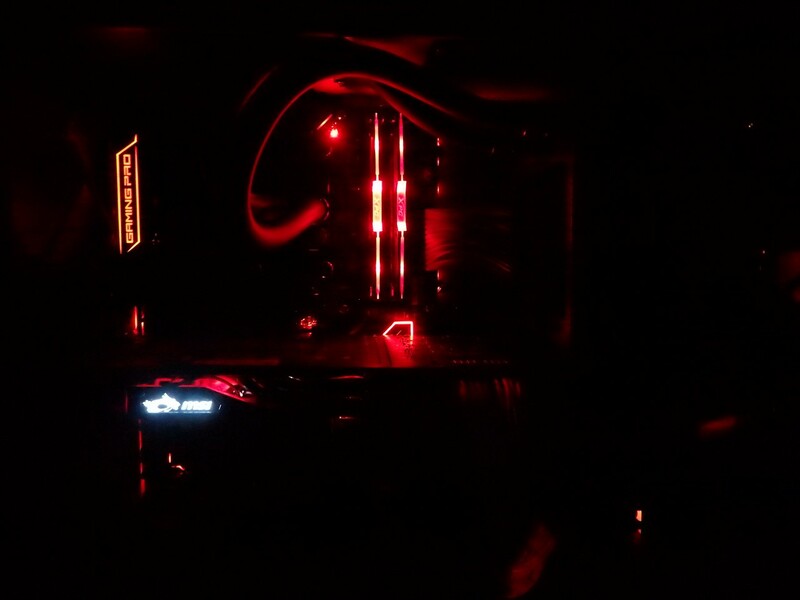 I ran the Ryzen 7 1700 CPU with a constant 3.9GHZ overclock at 1.37 volts. 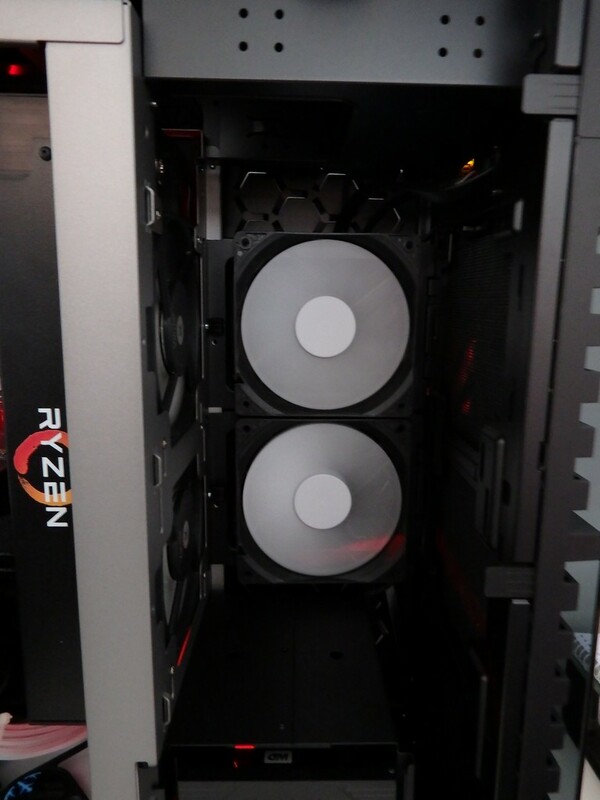 Temperatures were still pretty reasonable anyway but within the BIOS I set the fans to a nice quiet profile with longer increase and decrease transition phases, the six fans in the In Win 509 case made less noise than other systems I’ve built with less fans. 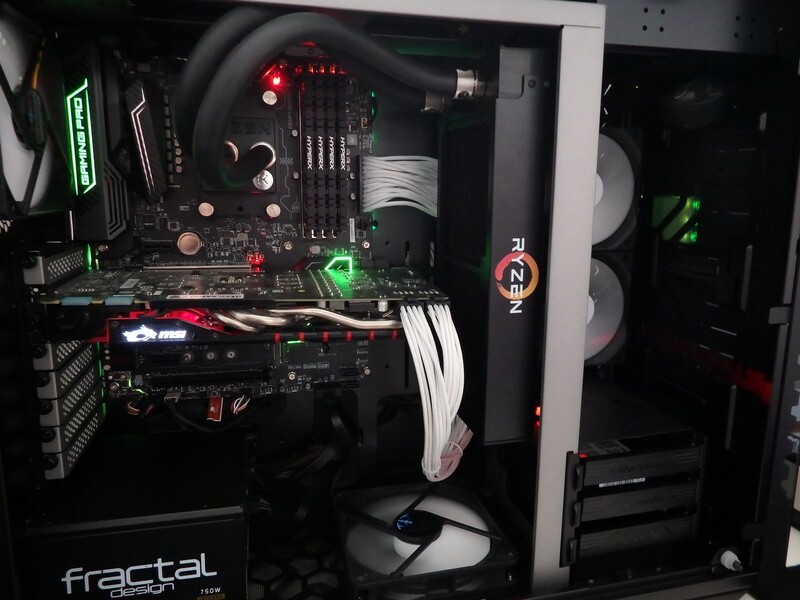 If I was to swap out the Fractal Design fans for Noctua 120mm PWM fans, the system would be even more stealthy – I was tempted but went with aesthetics in the end at the expense of a higher acoustic profile. 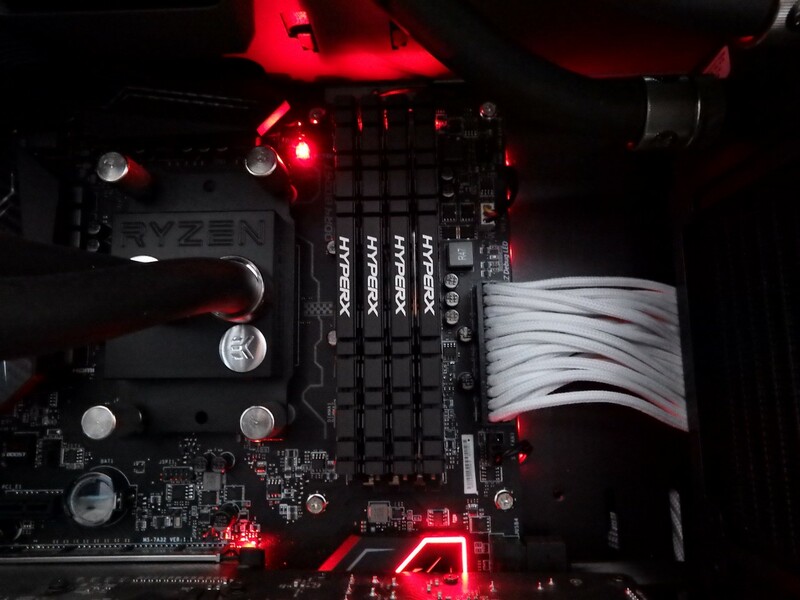 Thankfully, the MSI X370 BIOS handles both PWM and DC fan types well when it comes to setting profiles. The above titles all performed perfectly at 2560×1440 and 1920×1080 (when testing the solid XG2401 from Viewsonic). 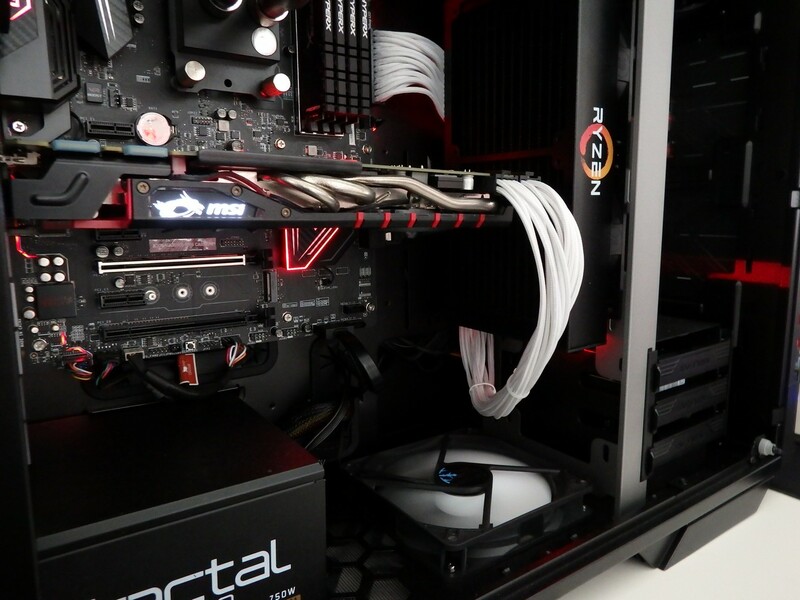 The bottleneck was clearly the graphics card with our GTX 980 starting to show its age. Despite heavy gaming sessions, the highest CPU temperature that I recorded in CPUZ HWMonitor was 65C with the quiet fan profile. 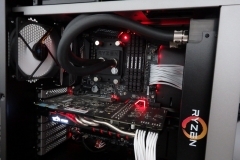 Ryzen 1700 might be aimed at content creators but it holds its own when gaming at 3.9GHz. The multi core/threaded performance and utilisation was variable across games with some games seeming to be more organised or hungry than others. 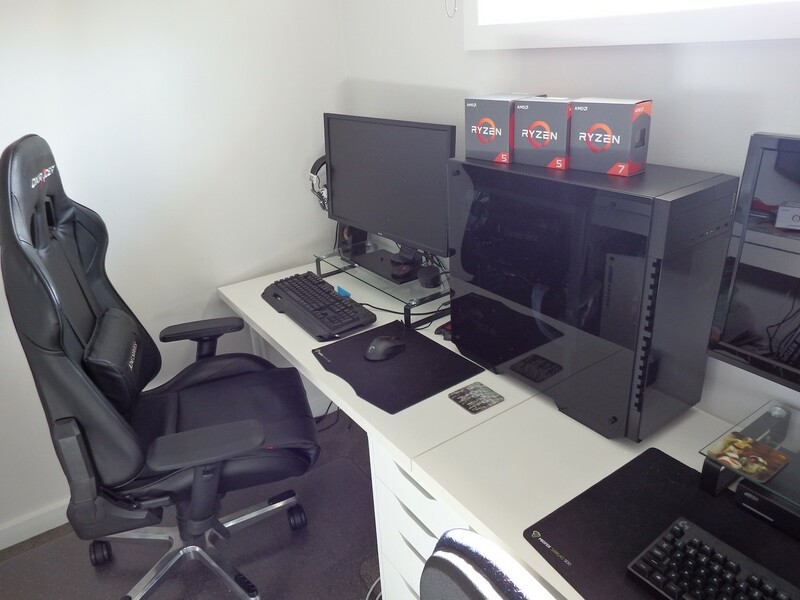 I didn’t experience any crashes, stutters or pauses when gaming – I could do article creation, some transcoding and photo work then break for some gaming and get right back into it. As expected, I was able to transcode media content on a Plex Server to 2 different devices in the house while running any of the above games without any measurable impact and it should be noted that on both systems the media library was using a different drive than the working directory of the game being played. Gaming while transcoding on Plex was also possible on the i7-5930K. We received some queries from people about this scenario so I thought we’d check it out. I also transcoded a 1.6GB AVI file to an MP4 with HandBrake in 9 minutes and 25 seconds while playing Fallout 4, running around Vault 111. For the record, I was playing it with the high texture pack at 2560×1440. The frame rates were aligned with running the game without transcoding in the background. I used the Logitech ARX app to watch the core usage and it was constantly heavy but never completely 100% across all cores. I didn’t feel that there was any gaming compromise being made when while transcoding but HandBrake did take longer to run – as expected. For reference, I converted the same file again without Fallout 4 stealing clock cycles and it took 6 minutes and 37 seconds. There is a clear penalty for multi-tasking but you can still game while smashing Ryzen wth other tasks. The Logitech ARX screen shots are in the gallery below to show the constant heavy (but not complete) usage of the cores while gaming and transcoding at the same time. Also note how heavily the GPU usage and memory usage were at the same time indicating that the CPU was able to keep up. I’d like to stress here that the comparison is with an 18 month old Intel CPU that has 2 less physical cores and 4 fewer threads. Hardly a fair fight? Well maybe not – the i7-5930K is still available new in some retail stores for $800+ which is a lot more expensive than $445 for a Ryzen 1700 so it is certainly food for thought. That said, I wouldn’t upgrade from the i7-5930K to a Ryzen 7 1700 right now but if I was buying a new rig and upgrading from something like Sandy Bridge, Ivy Bridge or Bulldozer then it’s fair to say that Ryzen 1700 has completely won me over on both value and performance from a content creation and/or media workstation perspective. Even running a small Linux VM for website testing seemed effortless as expected with the high-end spec. All up, the absence of driver issues and other compatibility problems is reassuring. This is a new chipset, platform and even with memory compatibility constraints, real world use for me wasn’t materially impacted. If I had bought these components with my own money, I’d be very happy with the spend. This is the first time in years that I’d choose to buy a CPU for a multi-purpose high-end system from AMD. 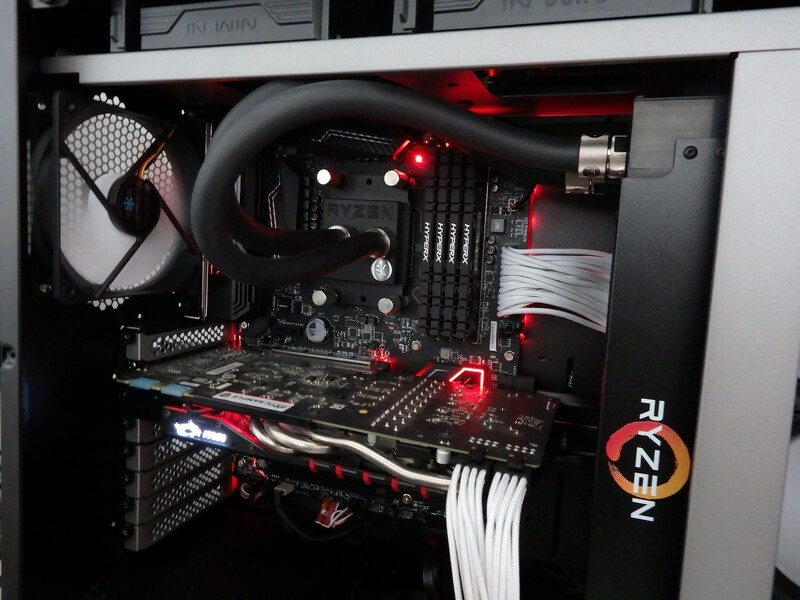 Ryzen 1700 is a great option that gives solid performance at an affordable price and although overclocking wasn’t brilliant, our i7-5930K wasn’t fantastic in this regard either so any extra you get from your CPU should be considered a bonus. 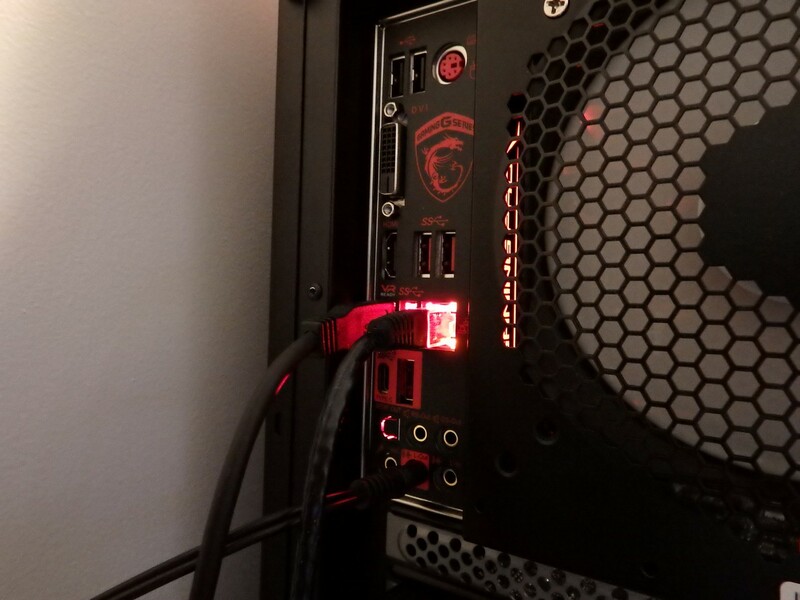 What the MSI testing platform with the Ryzen 1700 delivered was solid workstation and gaming performance with good disk and network transfer speeds without much noise at all. The audio performance (mostly via the rear output) was flawless and I didn’t find myself wanting anything other than a graphics card upgrade from our GTX 980 during the whole testing period. 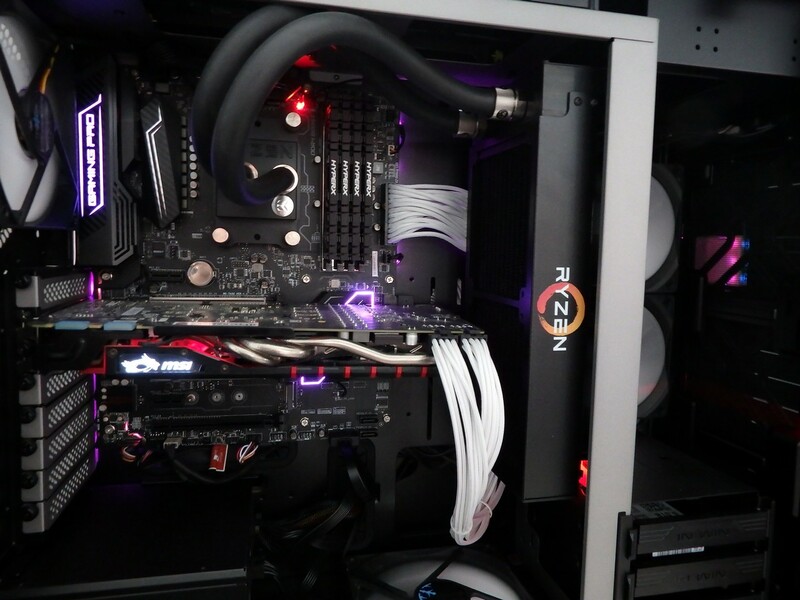 When I look at the overall experience of the Ryzen 7 1700 with MSI’s X370 Gaming Pro Carbon, it is impressive. AMD has a market-disrupting CPU architecture on its hands with Ryzen – which is great for everyone (except perhaps Intel). The next test is to drop down to a Ryzen 5 1600X to see how noticeable the change is with a reduction of 2 cores/4 threads but a slightly higher clock speed. AM4 makes this change really easy with the same socket as we don’t need to reinstall anything and only need to spend a minute in the BIOS. 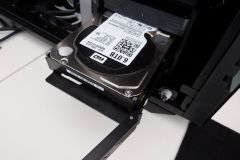 The tool-less EK water cooler means that we can do the whole change without the need for a screwdriver or Allen key. The only real effort required is to clean off and re-apply the thermal paste. There was nothing really wrong with the EK compound but we did switch to Noctua NT-H1 as it’s our thermal compound of choice, easy to both clean and apply. The NT-H1 is one of those things where you find something good and stay with it. I’ve been using the stuff for over 7 years and never had an issue with it so why change? I also have a list of emails and questions about this test setup that I’ll be answering in the next article.